In the last 10 years (2008-17), only four universities have never left the top 10 in a domestic league table: Oxford, Cambridge, St Andrews and Warwick. 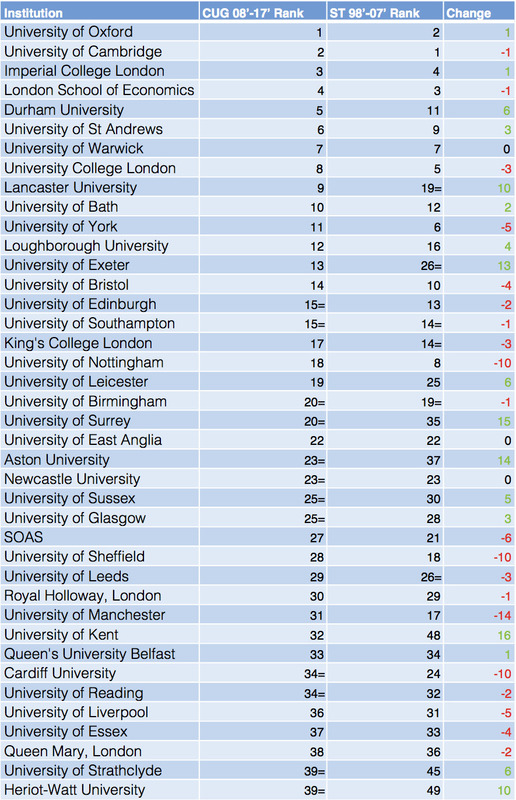 A further 4 have never left the top 15: LSE, Imperial, UCL and Bath. 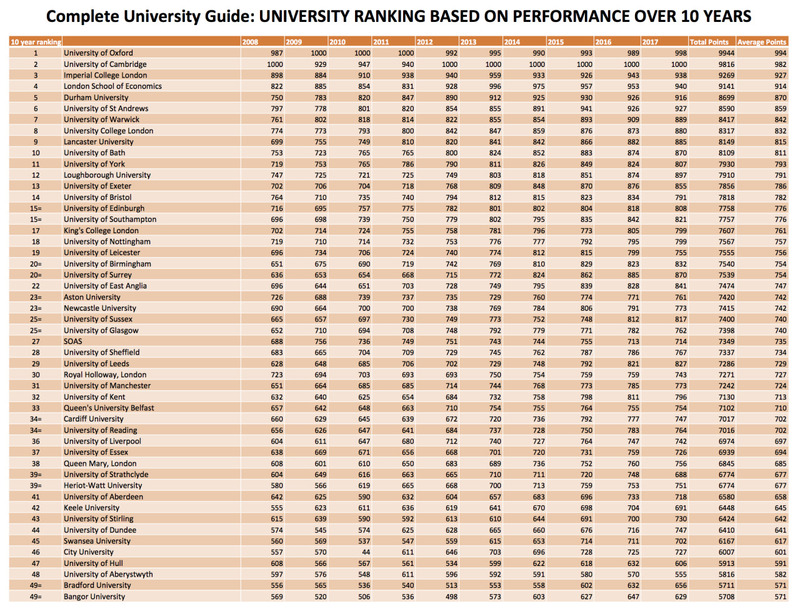 This is based off of data from the Complete University Guide, The Guardian and The Times and Sunday Times. 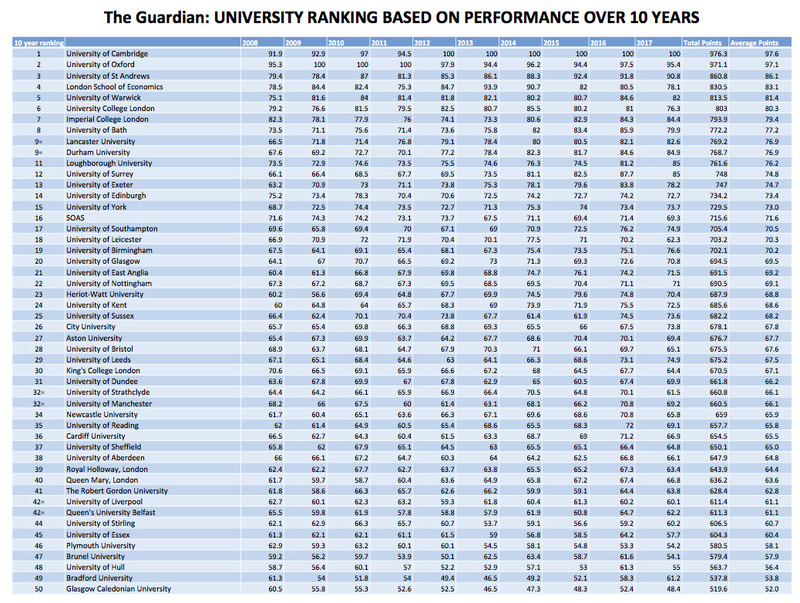 Click this link to see the graphical performance of a selected 31 universities in the UK. Some of the selected universities include Aston, Bristol, Durham, Edinburgh, Exeter, King's College, Loughborough, Nottingham, SOAS, Surrey and York.